Trump duped the GOP–egads! Trouble is, there is no record of this statement ever being made…to People magazine or anyone else. That didn’t stop it from spreading like wildfire among upset Hillary Clinton voters in the past 2 weeks, though. The Clinton dynasty crushes dissent once again. Not so much. 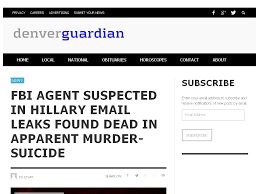 The Denver Guardian sounds like a legitimate news organization. It isn’t, and neither is the story. 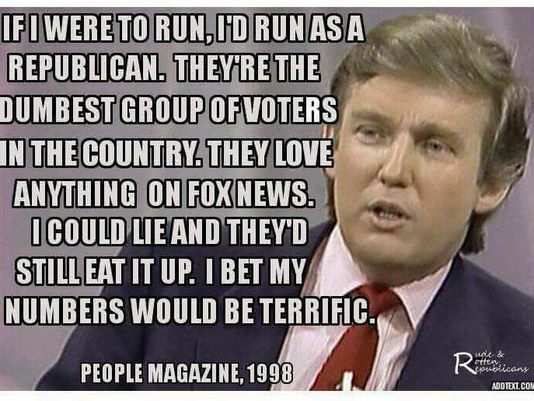 Regardless, it made the rounds among Trump supporters. This one showed up just today in my Facebook feed. Besides being pointless, the data is completely and entirely fabricated, something the original poster refers to as “projected”. 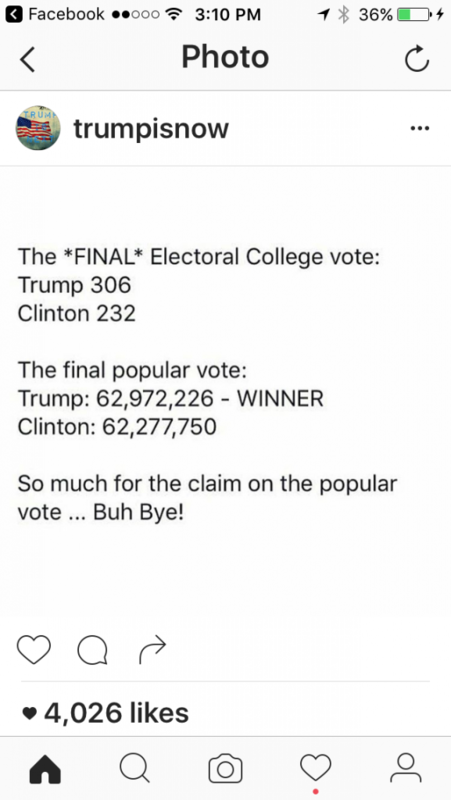 Besides, the electoral vote is not “final” until January 6. Is it true? How can you tell? For what purpose(s) might someone fabricate a story like this? What strategies and resources did you use to determine the veracity of this story?